← Sharing for a CAUSE . . . Right now I’m at home on my dialysis machine. This is pretty typical for me, as I have done home hemodialysis for the last few years, but . . . this may be my last time on this particular machine. I am finally beginning a trial with the NxStage machine at my hospital. My first training day is March 5th. For years I have been hearing about NxStage and imagining my life on this new machine and now the time has finally come. I know this analogy is over the top but it feels like I’m moving to a different country or getting married. I am excited about the transition and the chance to learn and experience something new. I would also be lying if I didn’t also mention my slight apprehension. All change is a tiny bit scary . 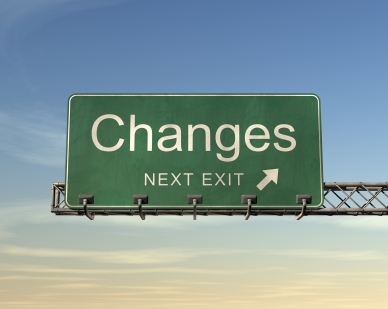 . . no matter how exciting the change. To me this transition is like trying out a new model of car. I am curious to see if the qualities that I like about this new model will improve my life the way I hope and expect them too. I am hoping to have more time for myself. There should be less time setting the machine up every time – and doing rinses and maintenance. The machine itself and its supplies should take up less space in my home. The particular machine, on wheels, may even enable me to do dialysis in the living room. Quick aside . . . how many times have I sat in the dialysis room while friends or family were in the living room having fun. Feeling like I was missing the action. Now I will have the opportunity to wheel myself into the living room and be part of the fun too. And of course, the biggest advantage of this machine, I will be able to travel again. (With a bit of coordination). I am looking forward some US trips to see family . . . and who knows what else is possible???? Dialyzing right now (even as I write this), there is a little bit of reverence and respect given to a machine that has kept me well and provided me years of good service. I am mindful of the science and research and medicine that went into the machine I’m currently using. I am very thankful for that. It is very fitting that this is Kidney Month and that there are scientists and doctors who have very graciously dedicated their lives to improving the lives of people like me who live with Chronic Kidney Disease. I am so thankful for the opportunity to experience this next stage of my life (with kidney failure and dialysis) with the NxStage machine. I am also open to NxStage not being the ideal treatment for me but I am very curious and excited to find out. 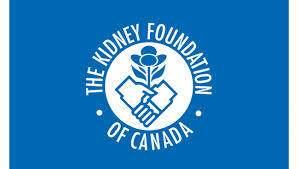 Please join the Kidney Foundation of Canada in celebrating Kidney Month – March. Support Kidney Month no matter where you are in the world. I think Kidney Month is being celebrated internationally. P.S. I KNOW I just asked you to support Heart Month and the Heart and Stroke Foundation but I’m a person with a very complicated health history – spanning quite a few diseases. I have lots to support!!! LOL. This entry was posted in Progress, The Bigger Picture and tagged advocacy, advocate, aggressive dialysis, Canada, car, change, chronic illness, Chronic Kidney Disease, dialysis, dialysis machine, dialysis schedule, doctor, doctors, experience, health history, heart and stroke foundation, heart month, home dialysis, Home Hemodialysis, hospital, husband, improve my life, Kidney Foundation of Canada, Kidney Month, married, medicine, model, movers, moving, NxStage, qualities, quality of life, relationship, research, respect, science, scientist, service, training, travel, United States, USA, water filtration, WRO. Bookmark the permalink. 2 Responses to Approaching the Next Stage: Living with Kidney Failure and Dialysis . . .